My guest this week is double-duty social worker and fitness guru Sumiyah S. Mshaka. Sumiyah and I talk about a bunch of complex social phenomenon including trauma, experiential change, and social work. Sumiyah is a LCSW and group fitness instructor who comes from a family with a legacy of social justice. After graduating from the UCLA MSW program in June 2004, Sumiyah began her extensive career in social justice advocacy, youth development and mental health treatment of adolescents in foster care and juvenile justice. This has included serving most recently in a mezzo social work position in the new DMH Division, Continuum of Care Reform, Interagency Placement Committee (IPC) program. Sumiyah is active in her community, serving on the Governance Board of CAIR-LA and volunteering with L.A. AIDSWalk, Islah L.A. and Islamic Relief’s Disaster Response Team. For the past five and a half years, Sumiyah has taught Group Fitness classes at 24 Hour Fitness. You can learn more about Sumiyah’s work by connecting directly with her via Facebook! 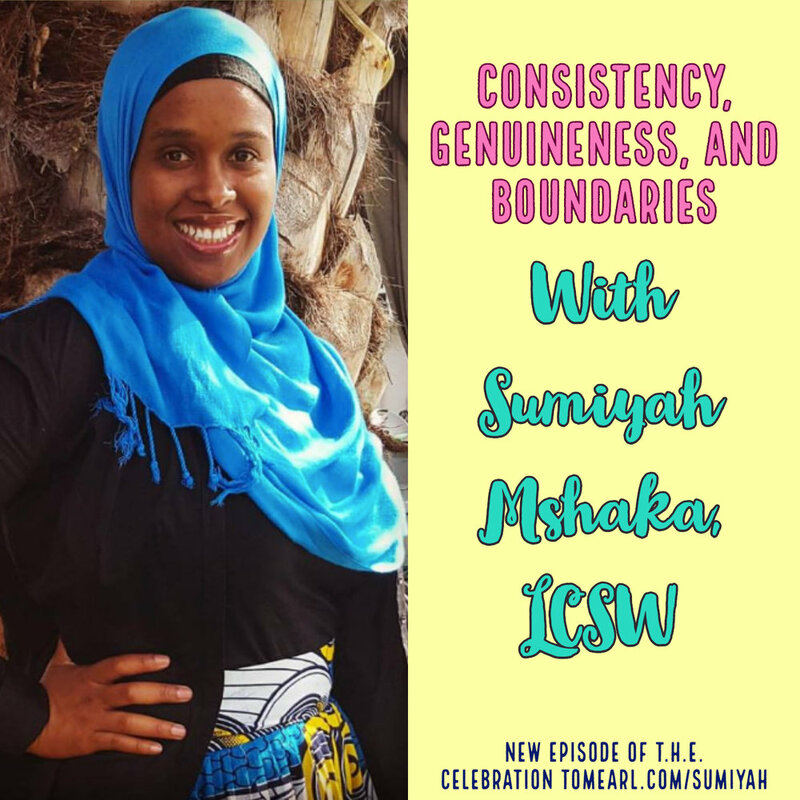 Listen to "Consistency, Genuineness, and Boundaries with Sumiyah Mshaka" on Spreaker. If you'd like to learn more about T.H.E. Celebration Academy. Here's 30 days of Free Membership.